These are all words to describe Tony Adkins, MPH, PA-C.
Tony is one of those people who makes you feel instantly at ease just from being in his presence. 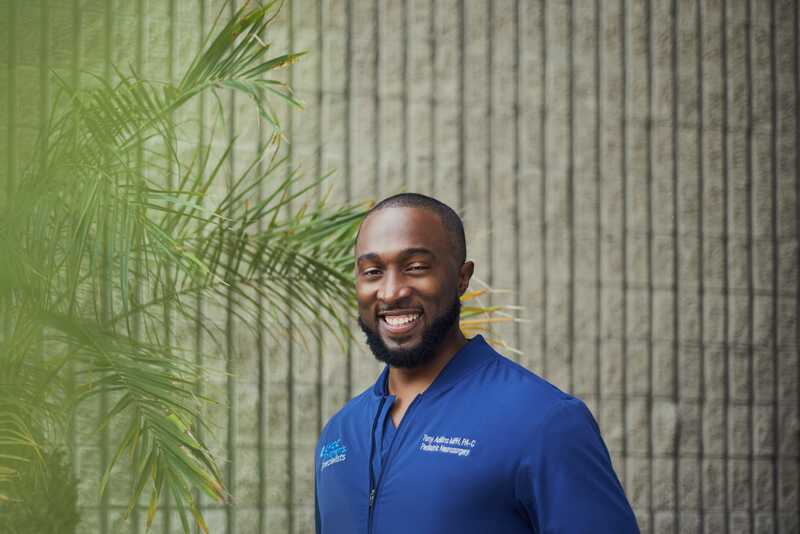 His positive vibes are truly infectious, and he loves nothing more than putting a smile on his patients' faces when he goes into work at Children's Hospital Orange County (CHOC). 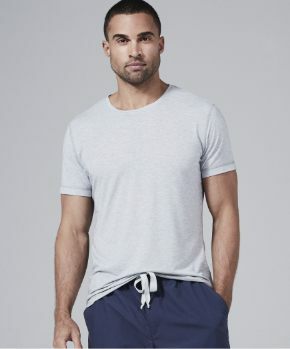 "As a little kid, you have so many mixed emotions, and that’s amplified by the fact that you’re sick and in an unfamiliar place surrounded by lots of people you don’t know," he says. 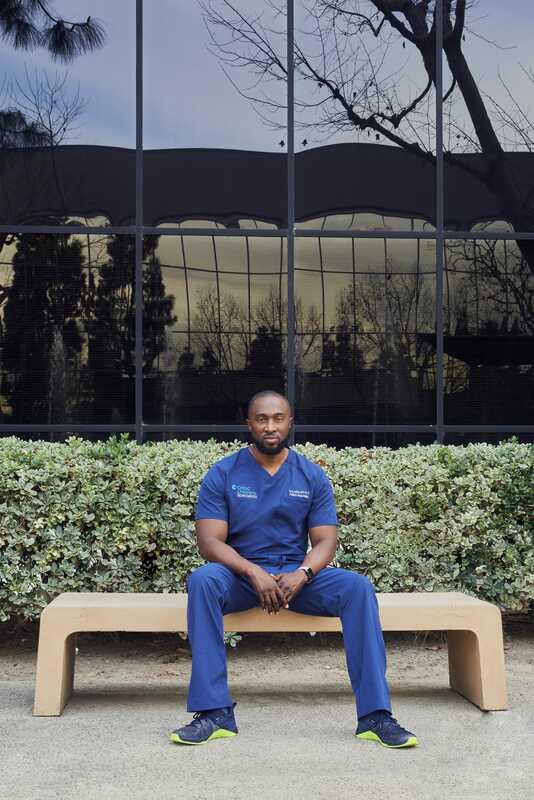 "I try to build trust with my patients early on by connecting with them on their level - whether that’s joining them to play Xbox, dancing to the latest Justin Timberlake song, or just goofing around and being silly." 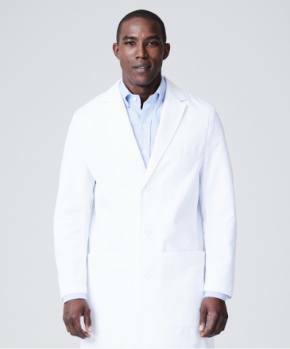 Black History Month is a time for the medical community to celebrate the contributions of black individuals to the field of medicine, and emphasize the importance of diversity in today's medical workforce. 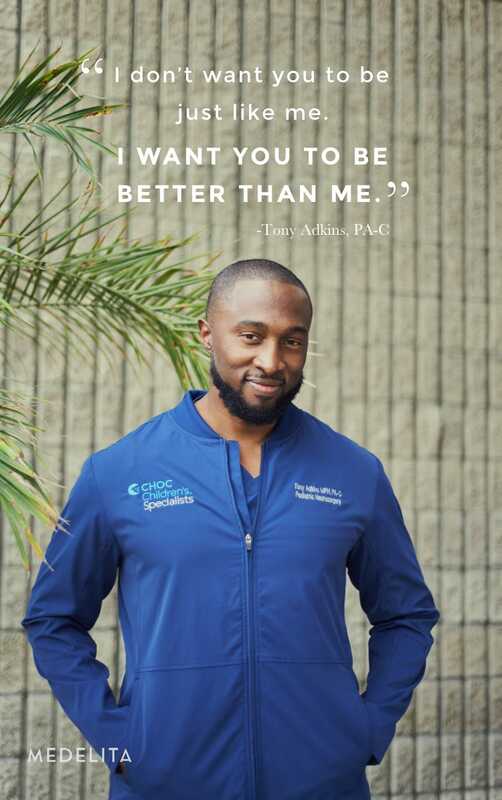 Patient care starts and ends with the provider, and it is people like Tony who are leading by example to inspire the medical community to connect with their patients in an authentic human way. 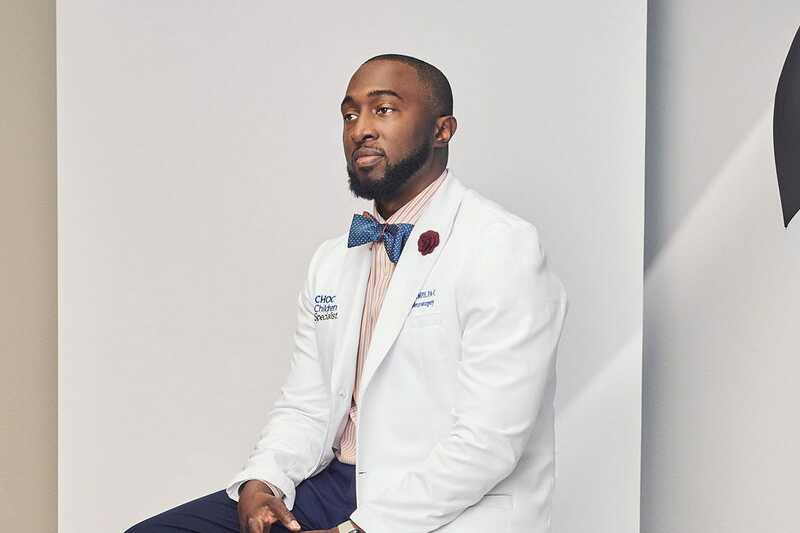 "I’m one of the only African American advanced practice providers in my hospital and there’s a lot of challenges that come with that," he admits. 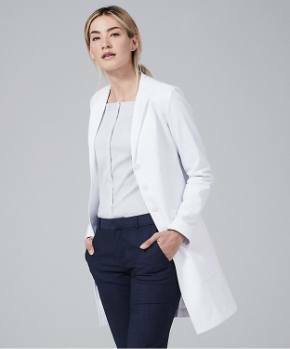 "Being a minority in medicine can be daunting - both as a patient and as a provider. 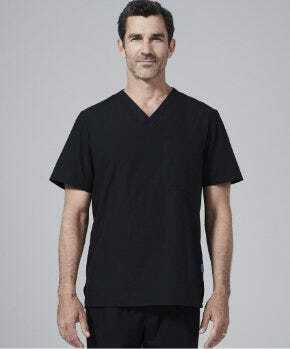 When minority patients walk through the hospital, it’s intimidating to not see anyone who looks like them and they gravitate naturally towards the providers who do look like them, who they feel they can relate to. 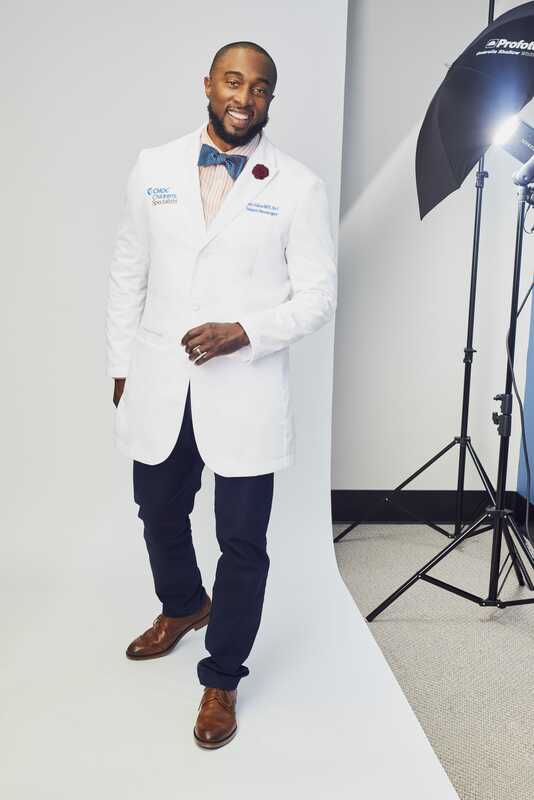 Knowing that your provider understands you is incredibly important and as one of the only 2 African American male advanced practice providers at my hospital, I consider it a positive that I can help these children feel more comfortable during their time as patients." What I tell them is: no - I don’t want you to be just like me, I want you to be BETTER than me. Everybody in medicine, we’re used to things being a certain way. We all know the science of medicine, but can we all touch a human in a human way? I challenge providers to not just go the distance, but go the different distance. And once you figure that out, you find ways to relate to your patients better than just delivering medicine."